I put a Uniden 5060 behind the centre console which uses a remote head unit which I have stuck to the dash in the same position as TC.Barkly above. I put a wire through from the boot (with occasional 'gentle encouragement' via expletives) from the aux battery in case I accidentally leave it on so I don't drain the main. I have a GME with all the controls on the Mic. The mic has an RJ45 plug on it so I put a Female RJ45 on the console and the unit is tucked away. I just plug in the mic when I want to use it. As a quick fix in the bush I managed to run the antenna wire up the edge of the wing where it goes under the bonnet, then with a bit of squishing got it into the gap between the A pillar and the wing, then down the front door gap past the hinges, then round a little gap at the bottom of the door seal, then tucked up behind the glovebox and across the top of the tunnel. All secured with gaffer tape. Was gifted this by an absolute legend of a bloke with connections. Since it has a speaker in the base and the handset, I think I’ll mount it in its slide mount on either the driver or passenger side of the transmission tunnel to maximise volume. That way I can also easily unplug and remove when the vehicle is used (and abused) as mum’s taxi. Next question is where to mount the antenna he also got me. 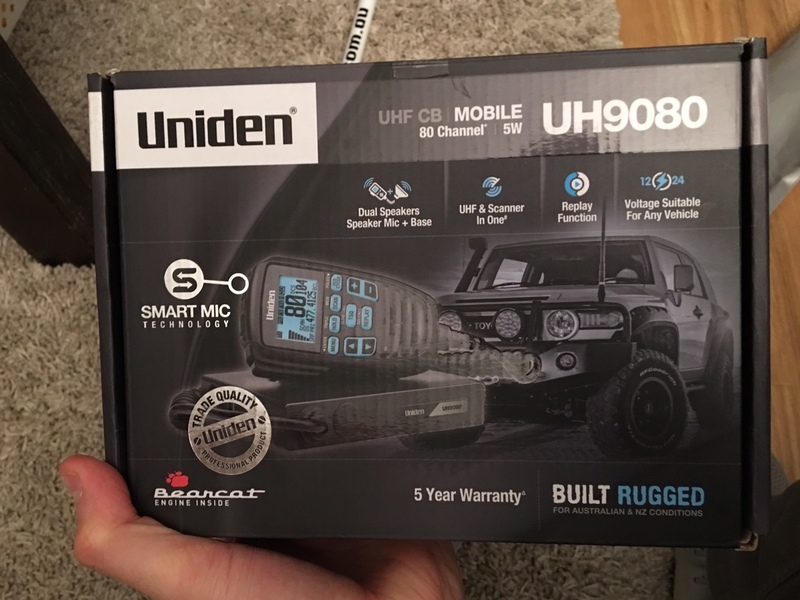 I realise the higher the better, but failing that has anybody had any issues with a bullbar mounted antenna failing due to vibrations? I read a Prado owner on another forum saying he’d had multiple fail. The antenna is 1.2m. Another option is a fold down roof rail or roof rack bracket. Rhino sell them. Edit: surely there are thousands of bullbar mounted aerials that have not suffered from premature failure due to vibrations. Just tighten it up once every few weeks. If it's still tight, do it less frequently. I've been running bullbar mounted aerials for decades and never had one fail. Don't know anyone that has had one fail either. The one you've got is a quality aerial with a solid base, it will be fine. Awesome thanks mate. That's what I like to hear. Decades of experience. And thanks miniyazz also. 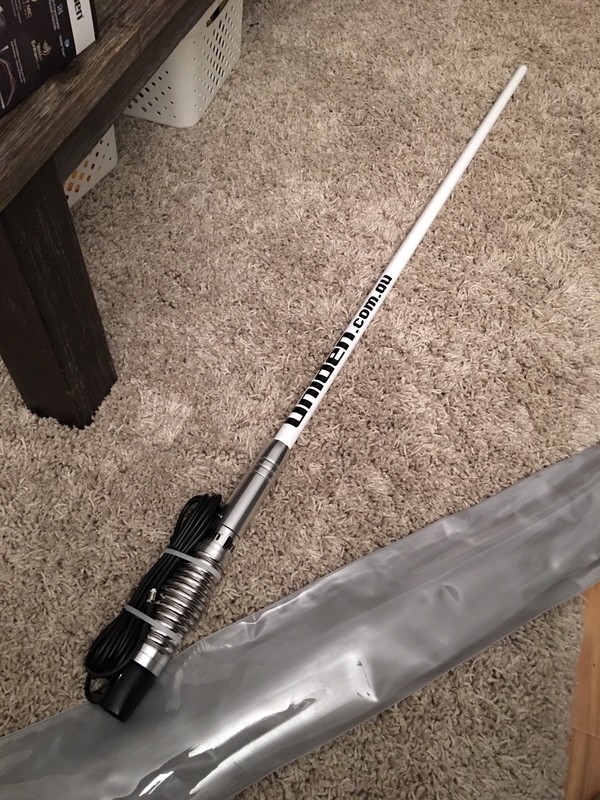 I’ve recently had to change my antenna base as I bashed a tall antenna into a bush. Driver error - lesson learnt.